It’s never too late to get the smile you’ve always wanted. Ask your Invisalign dentist if you’re a candidate for clear aligner treatment. We often recommend Invisalign braces for teenagers and adults who have crooked teeth and other issues that can be corrected with orthodontic treatment. Continue reading to learn if you’re a candidate for Invisalign braces. Also, feel free to call our office to schedule a consultation with our dentist orthodontist. We’re always more than happy to answer any questions you might have. We want to help you get the smile that you want! Invisalign aligners exert pressure on teeth to move them into their final positions. During the first day or so of wearing new aligners, you’ll feel this pressure on your teeth. However, many of our patients feel that this temporary pain is worth having a beautifully straight smile. The pressure on your teeth is a sign that the treatment is working. If you’ve ever felt self-conscious of your smile, you’re likely to be highly motivated to wear your aligners as directed by your Invisalign dentist. For Invisalign to be effective, you must wear your aligners at least 20 to 22 hours a day. This means that you’ll only be able to remove your aligners during meals and while brushing teeth. While a patient’s jaw could stop growing as soon as 12 years of age, this doesn’t automatically make them a candidate for Invisalign braces. Since these aligners are removable, patients must also have the self-discipline and motivation to wear Invisalign despite temporary discomfort. It’s important to understand that each patient is different. You and your child’s dentist can discuss what method of orthodontic treatment will be best for your child. Wish you could straighten teeth without braces? Ask your Invisalign dentist if you’re a candidate for clear aligner treatment. Like the name suggests, Invisalign are nearly invisible aligners that straighten teeth little by little. Many of our patients appreciate that Invisalign lets them discreetly straighten teeth without their friends, coworkers, and family knowing. Dental plaque and tartar love to hide where toothbrush bristles can’t reach. Fortunately, Invisalign can straighten teeth in as little as 12 to 18 months so you can easily brush and floss. Orthodontic treatment doesn’t just improve the appearance of your smile--it also improves oral health. Many of our patients who undergo clear aligner treatment are able to avoid tooth decay and gum disease later in life. While Invisalign is great for teeth straightening, it won’t help patients who have serious over or underbites. Fortunately, we can refer you to a trusted orthodontist who offers metal braces and other appliances. If left untreated, bite misalignment can cause uneven wear on tooth enamel, jaw pain, and even TMJ disorder. Our Invisalign dentist is dedicated to helping you achieve your best smile. 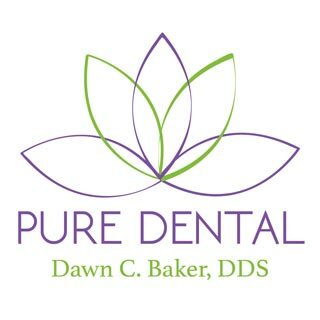 To schedule an appointment with our Gahanna Invisalign dentist, call Pure Dental at (614) 475-7580.